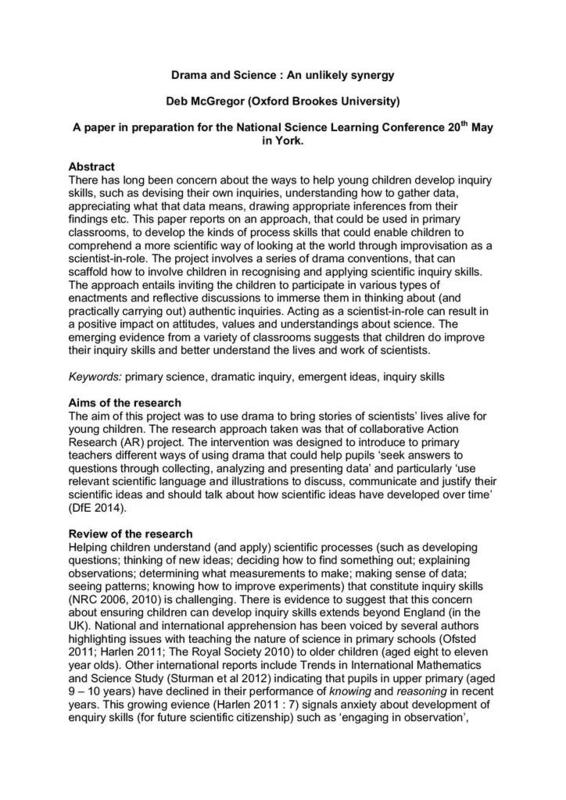 This paper, presented at the Using STEM Research Conference in May 2016, reports on an approach, that could be used in primary classrooms, to develop the kinds of process skills that could enable children to comprehend a more scientific way of looking at the world through improvisation as a scientist-in-role. The project involves a series of drama conventions that can scaffold how to involve children in recognising and applying scientific inquiry skills. There has long been concern about the ways to help young children develop inquiry skills, such as devising their own enquiries, understanding how to gather data, appreciating what that data means, drawing appropriate inferences from their findings etc.